Recently, the team at Fresh Tilled Soil had the good fortune to work with two clients who were open to testing alternate approaches to onboarding—we’ll call them Client A and Client B. Since it was much faster and easier for us to design key screens than develop them, InVision served as the perfect tool for creating clickable prototypes to get feedback. Here’s what we learned from those tests. 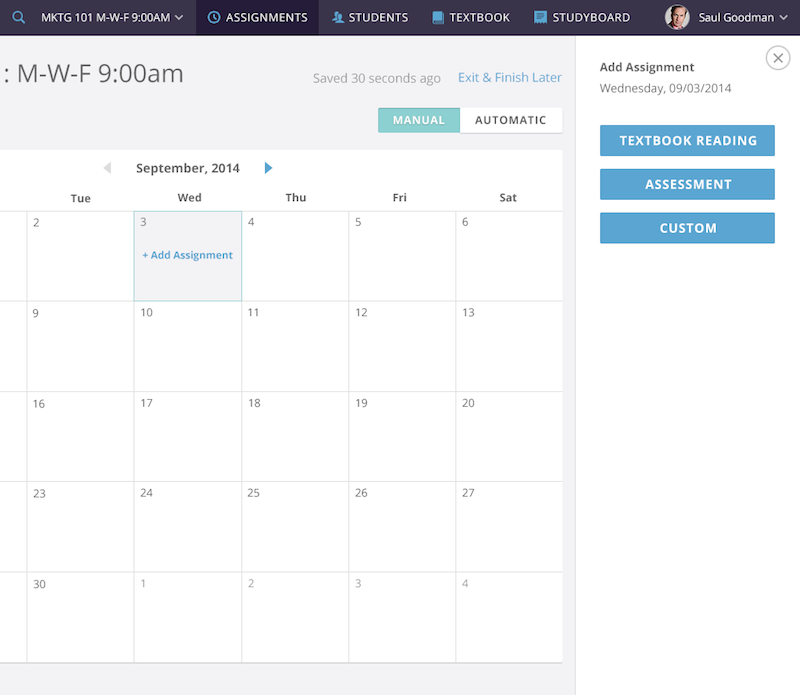 Client A was developing a web app to help instructors and students share assignment dates, details, and related content. With two very different sets of users, our first step was to define who needed onboarding most. 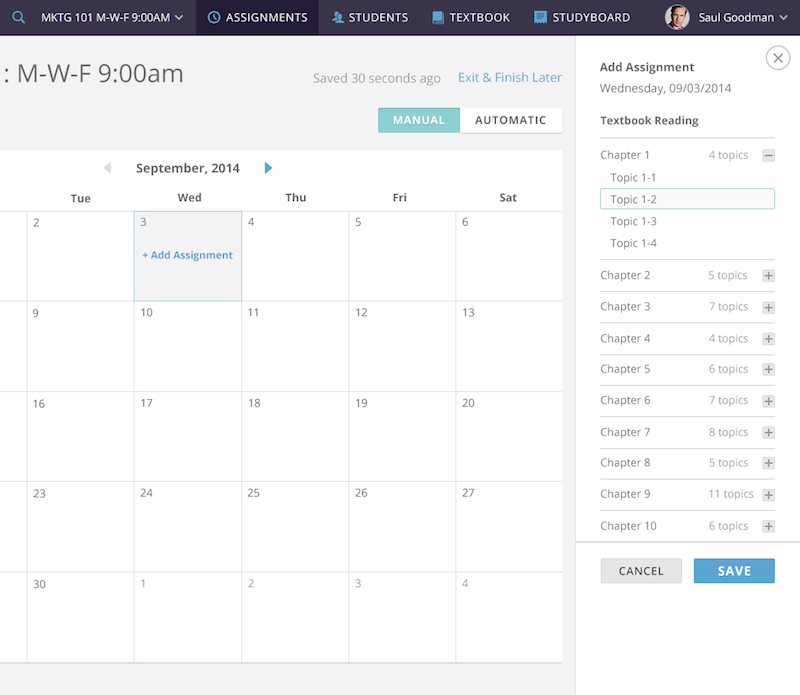 Our first design moved instructors through a series of screens (the setup wizard approach) that let them review and manage suggested assignments. But in testing, instructors felt overwhelmed by some screens and had a hard time visualizing how assignments mapped to a semester. They also felt uncertain that all their work was being saved. 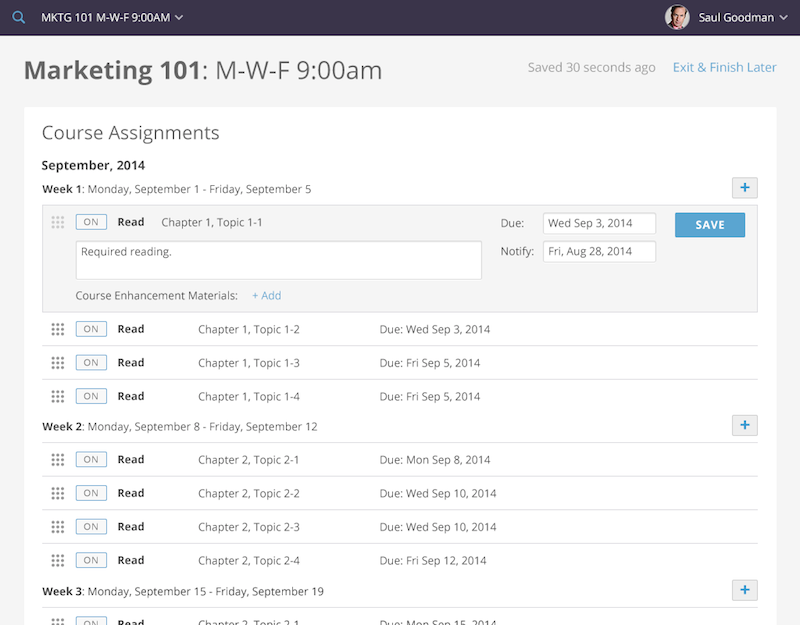 Instead, the test instructors asked for a calendar view to review and adjust assignments. 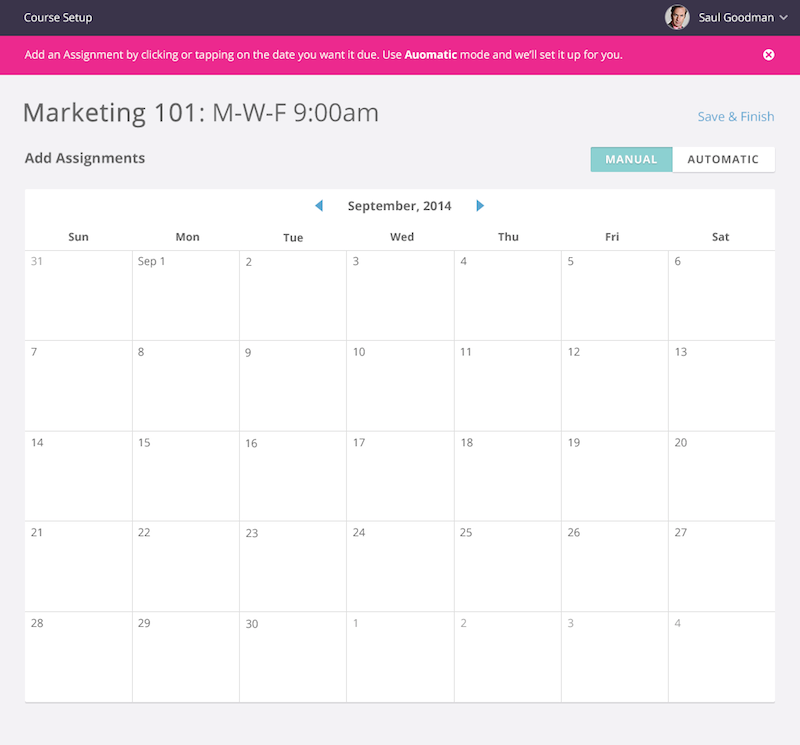 We quickly designed that workflow and added it to our InVision prototype to test against the first approach. The calendar view was a clear winner. We found that instructors not only understood the mechanics more clearly, but also felt less intimidated by the calendar interface. They understood it would let them add, edit, or remove items and see immediate feedback that their work had been saved, which the wizard hadn’t provided. Though both designs saved their work in real time, testing the two approaches revealed how the users felt about the process and pointed toward the better approach. Client B, an email-marketing software provider, was looking to add a new feature to an existing service and wanted to be sure that users could adopt it simply. This client wanted to help their customers create series of automated emails that would send based on specific triggers—such as signing up for a newsletter. We began crafting a workflow where users entered a wizard from a main menu system, then worked through defining the name and content for each of the emails in the series. After finishing setup, users would be able to manage the series by navigating back to the wizard. After we prototyped this design, we tested extensively—and found that some users had a hard time starting the process. Many of them expected an option that would let them start a series based on existing emails. We decided to add that feature and then mapped out a workflow to create the same type of series from a different starting point. Though about half of users grasped how to create a series through the menu, accommodating those who didn’t reduced friction and led to more happy users. —and champions of your product. Alex is a strategic thinker with a gift for information architecture and is passionate about clean, data-driven design that helps increase efficiencies and solve business problems.